A beautiful selection of living Christmas trees! These trees are perfect for decorating in the home for the Christmas season and planting in the garden after the holidays are done. 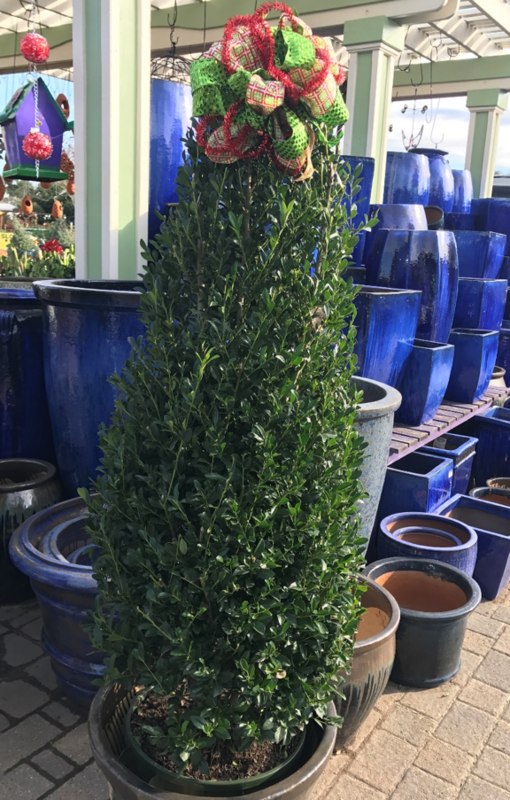 Selections available include: Emerald Colonnade Holly (pictured), Carolina Sapphire Cypress, Blue Ice Cypress, Blue Point Juniper, & Eastern Red Cedar, along with many other unique options.